Pools around the country are preparing to open their gates to excited swimmers who have been waiting all spring for this very moment. 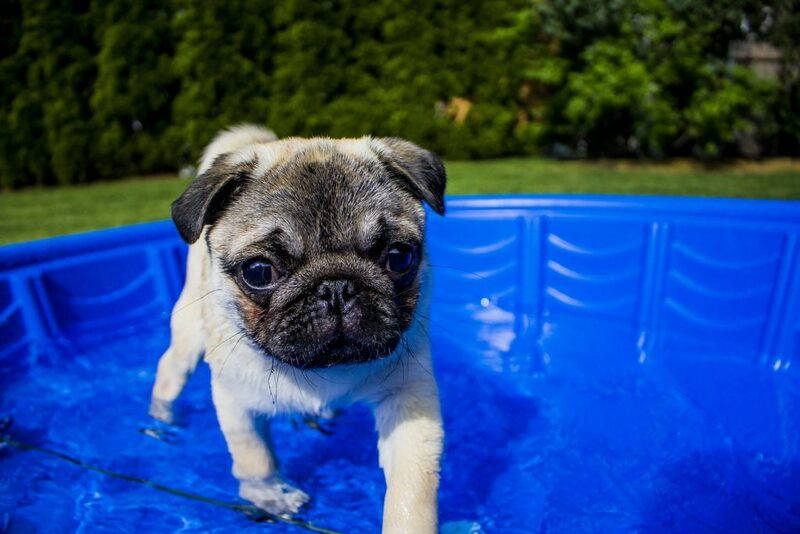 While the neighborhood pool might not let you bring your precious pug for a dip, that doesn’t mean you can’t plan a fun pool party for your pug! You can fill up a small baby pool, the bath tub, or even a small storage container with low sides and have a fantastic time splashing around with your favorite pug.